[Here the Vedic aphorism sarvam khalv idam brahma is explained. 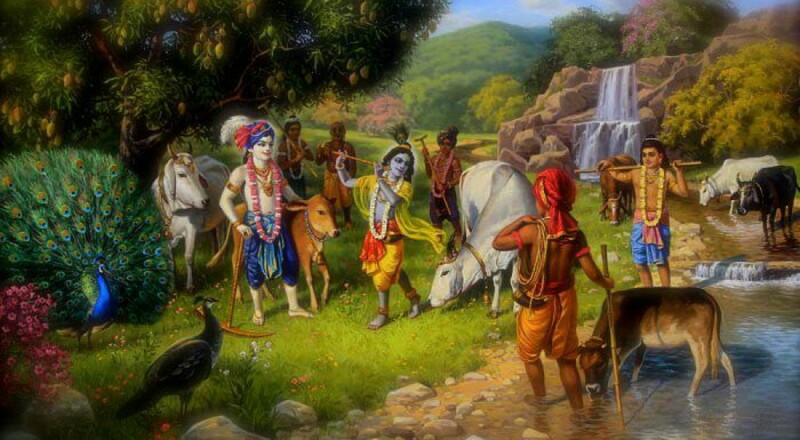 It is also explained in the catuh-sloki Bhagavatam [SB 2.9.33/34/35/36]. Aham evasam evagre. The Supreme Lord existed in the beginning, He exists after the creation and maintains everything, and after destruction everything merges in Him, as stated in Bhagavad-gita (prakrtim yanti mamikam). Thus the Supreme Lord is actually everything. In the conditioned state, we are bewildered in our understanding, but in the perfect stage of liberation we can understand that Krsna is the cause of everything.